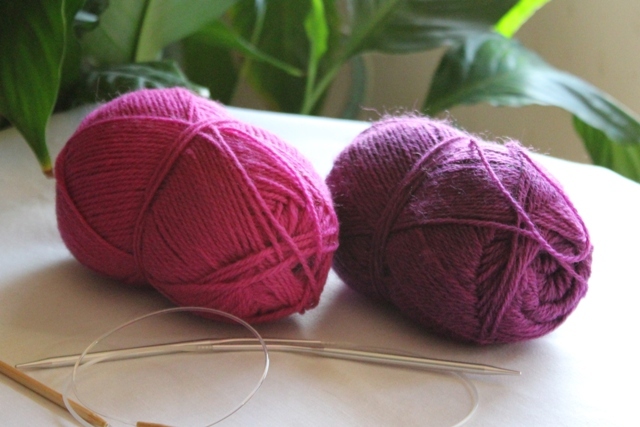 As you can see from my calendar at the top of this post I have started taking knitting classes and I love it. 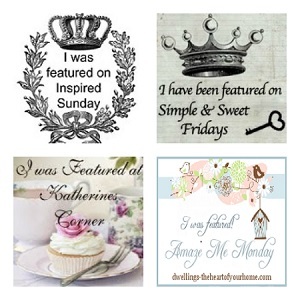 I'm joining some wonderful blogs this week. I will be back on Tuesday. It's time to do my taxes. 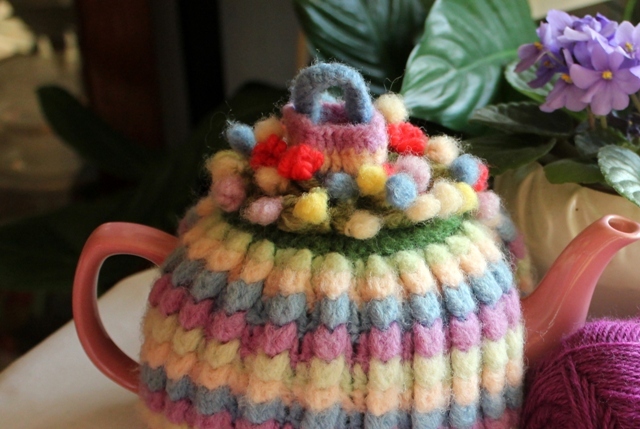 That is the cutest tea cozy....I've never seen one like it, the colors are so beautiful....what a treasure you have. Thanks again for joining my party..so good to have you and your lovely tea cozy! The tea cozy is adorable, and I love that sewing basket! 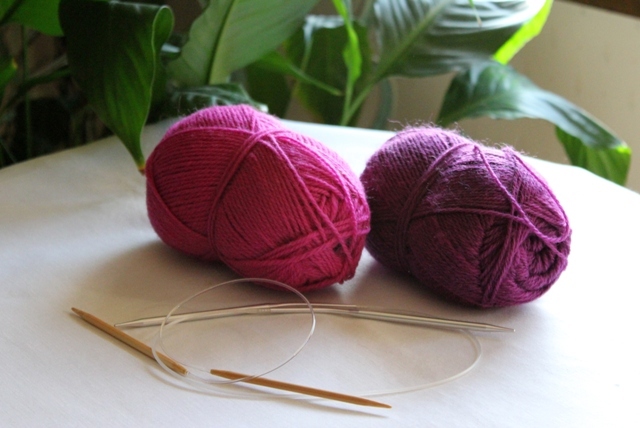 Such fun learning to knit, enjoy! Such a pretty cozy, good luck with those flowers, I'd love to see them when they're done. Hi Betty! That tea cozy is just darling and I love the history behind it and your love of knitting...so jealous of that kind of skill! 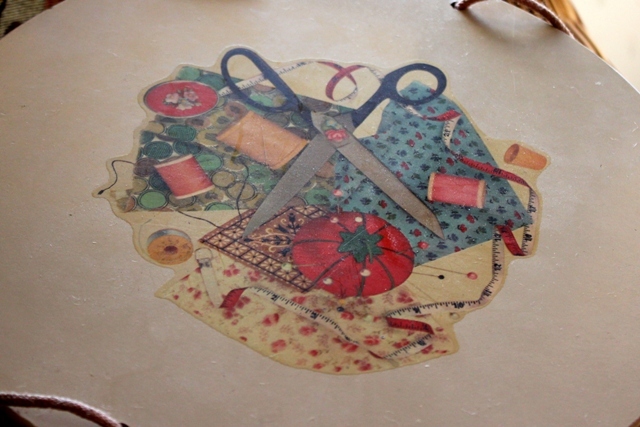 And that sewing box is absolutely fantastic and I love how you are passing them down to your granddaughters. So special! 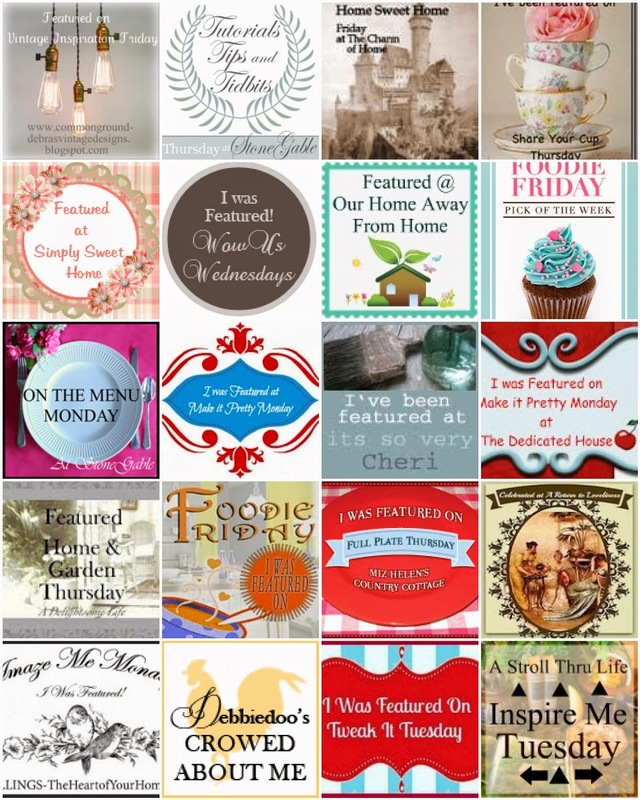 Thank you so much for linking this up to Inspiration Friday! 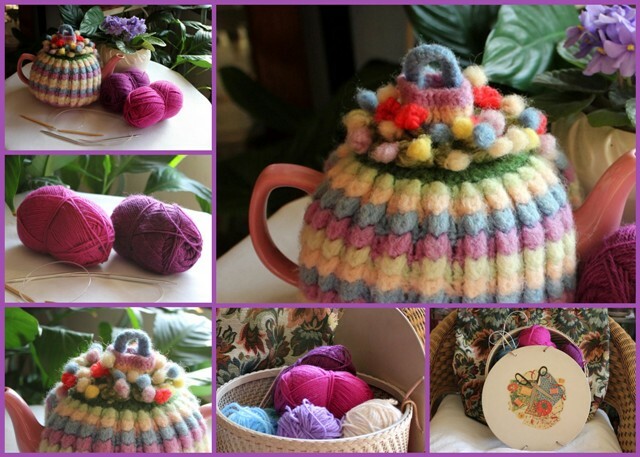 I just saw those cute teapot cozy's for the first time this past week! 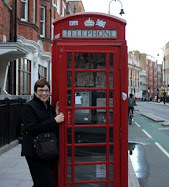 I almost did my post on those! I couldn't believe how sweet they are. I just love them! The color you are using are VERY Friday Pretty! I love it...washed or not ...very nostalgic & modern in a boiled wool look! Oh my goodness...I soooo love your tea cozy! I would learn to knit just to learn how to make that one. I collect teacups and teapots but don't have tea cozies, and love yours! How can I learn? 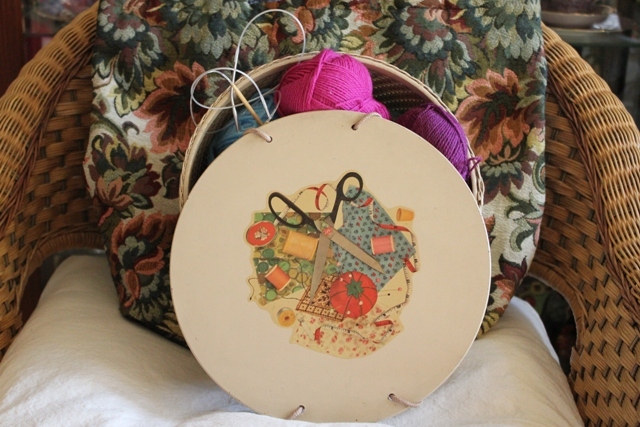 My mother's sewing basket has a different image on the top, but other than that it looks very much like this one. She's had it as long as I can remember. I love your little tea cozy, even felted like that. The colors and style are beautiful! 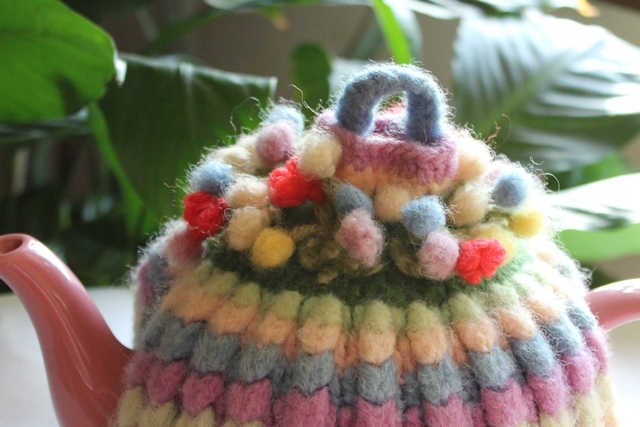 Oh that adorable tea cozy has captured my heart! Thank you from the bottom of my heart for leaving such a supportive comment. 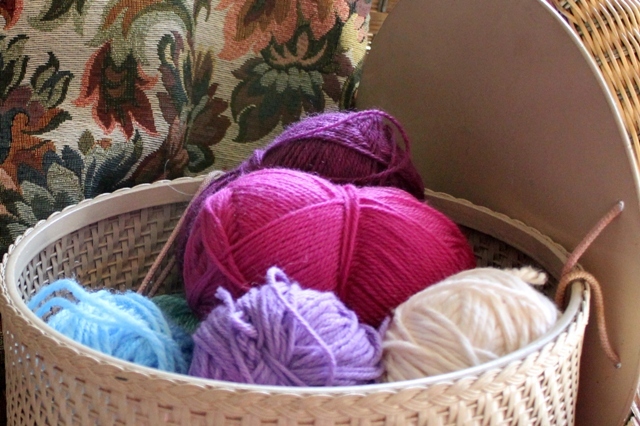 I would love the pattern for your tea cozy. Just lovely. 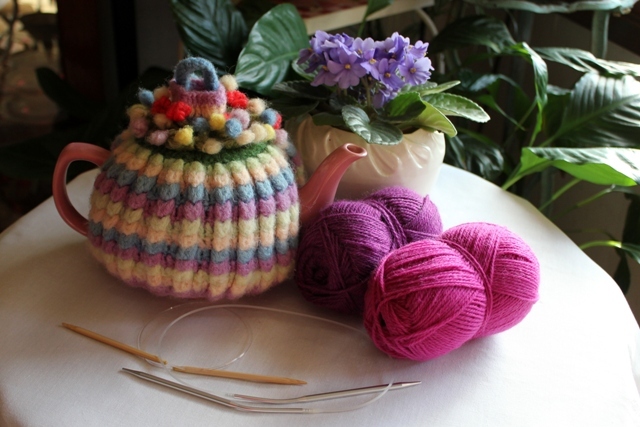 wonderful tea cozy ... can't wait to see your version! 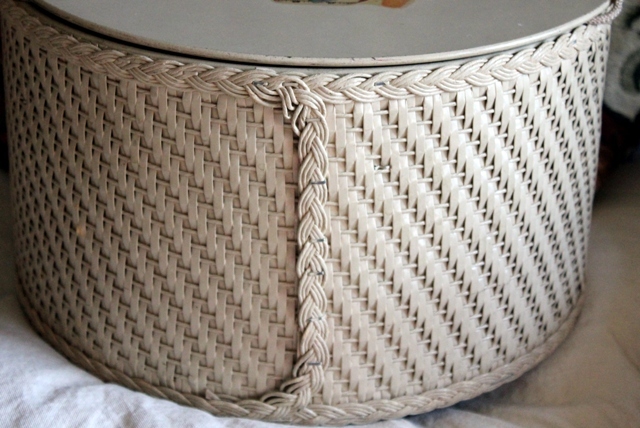 wonderful sewing basket. your post is just full of wonderful treasures and memories. knit away!!!!!! My Goodness! There is so many wonderful things to comment on in this post that I don't know where to start! I guess I will start with the tea cozy!!! What a treasure. 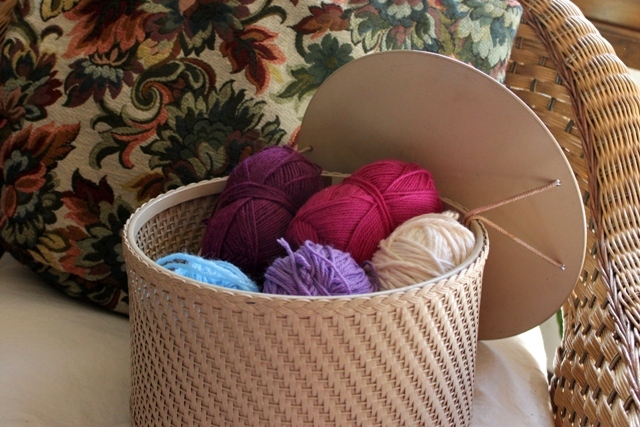 And, the sewing baskets- wonderful! Thanks for joining my Friday Pretties. Everthing is so Pretty! These are some gorgeous photos...I love the soft colors of the tea cozy...scrumptious. Please come on back tomorrow and link up again...I'm a new follower too!!! !